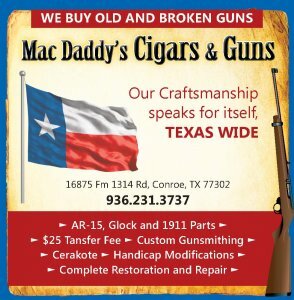 SHENANDOAH- Police believe the same people are responsible for a string of burglaries of businesses in Shenandoah and Conroe, the latest of which occurred on Wednesday at Meador Staffing at 19053 Interstate 45. Lt. Bryan Carlisle of the Shenandoah Police Department said thieves took a flat screen television from the business, which was similar to two other recent cases. Thieves broke into the Hooters and Café Adobe restaurants on Interstate 45 around the same time on Nov. 14, Carlisle said. They took two large flat screen televisions from Hooters, but failed in their attempt to take a large flat panel television from the bar area at Café Adobe. While they were unable to take the restaurant’s television, the intruders left two cash registers behind the building. Carlisle said investigators believe those were stolen from a restaurant on nearby Highway 242 in Conroe. Surveillance video showed two black males who fled in what appeared to be a white and gray Toyota 4-Runner. Anyone with information regarding the burglaries is asked to call the Shenandoah Police Department at (281) 367-8952. Those who wish to remain anonymous can contact Montgomery County Crime Stoppers (800) 392-STOP.